Whether they’re travelling from within the US or from overseas, many tourists don’t give much thought to The Motor City When planning their vacations. New York City? Sure! Everyone wants a bite of the big apple, to see a show on Broadway and try to navigate the crowded theme park that is Time Square. San Francisco? Oh Heck yes! Who wouldn’t love to enter the city from the famous Golden Gate Bridge and travel down to Pier 39 to check out the sea lions as fog rolls off the bay? Las Vegas? Even those who have no intention of gambling can be lured by the bright lights, fine dining and 24 hour party atmosphere that permeates the glowing and neon-lit crown jewel of Nevada. But Detroit? Not so much. That’s a shame because the Motor City has a whole lot to offer all kinds of visitors both domestic and international. Music lovers should not leave Detroit without paying their respects at “Hitsville USA”, AKA the Detroit Motown Museum. Where now stands a museum was once a studio where some of the best songs of the Motown genre were recorded between 1957 and 1972. You can check out the actual recording studio where Marvin Gaye produced his incredible back catalog and the apartment that was the home of Motown founder Berry Gordy Jr. lived. Admission tends to sell out quickly so it’s a good idea to call ahead to reserve your tour. Looking for somewhere to take a brisk walk in beautiful surroundings? Belle Isle is an island situated squarely in the Detroit River and bedecked in gorgeous parkland, with hiking trails, bicycle trails, sports facilities and even some swimming holes in and around the park’s three lakes. The distinctive Anna Scripps Whitcomb Conservatory sits at the heart of the island and is home to a beautiful array of arboreal life. The island also houses the Dossin Great Lakes Museum, which has chronicles the history of shipping on the Great Lakes. Belle Isle even has its own Nature Zoo, where visitors can feed deer, and a newly remodeled aquarium. 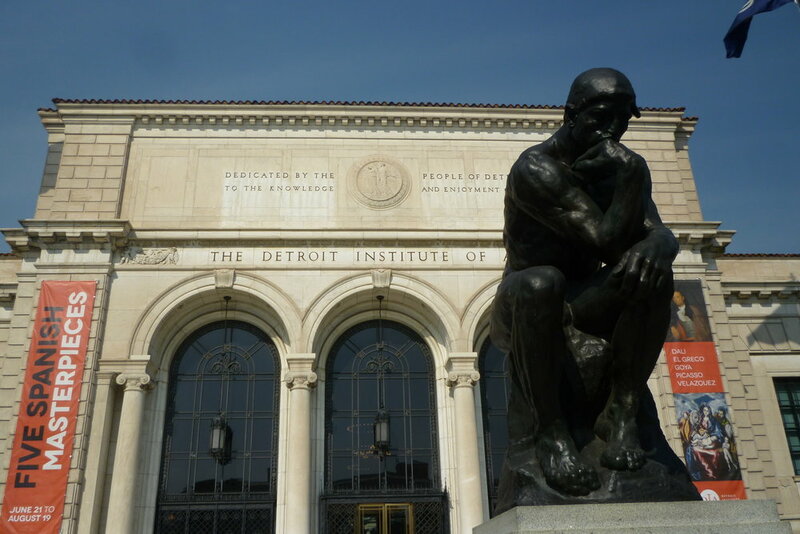 Like any major conurbation, Detroit has its own history of astonishing art and the beautiful Detroit Institute of Arts houses over 60,000 works of art across over a hundred galleries. While the institute was recently home to a stunning exhibition of costumes from the iconic Star Wars film series, it houses a wide range of artworks from all over the world and its history from native American and Medieval European pieces to works by Rembrandt and Picasso. Motor enthusiasts may wish to pay homage to the father of the American motor industry. The picturesque Henry Ford Estate’s grounds include a powerhouse hydropower plant, which gave the independent power. The estate also included a summer house, its own man-made lake, a pony barn, cottages for staff, a glorious greenhouse and a stunning garden. As you can see, whatever your interests, there’s something for everyone in Detroit!